If you live in the United States today, you need to understand that your privacy is being constantly eroded. Our world is going crazy, government paranoia is off the charts and law enforcement authorities have become absolutely obsessed with watching us, listening to us, tracking us, recording us, compiling information on all of us and getting us all to spy on one another. If you doubt that we are rapidly getting to the point where the government will monitor every breath you take and every move you make, just read the rest of this article. The truth is that the government is watching you more closely than ever, and they are spending billions upon billions of dollars to enhance their surveillance capabilities even further. If our society stays on this current path, we will eventually have zero privacy left. At this point, it is not too hard to imagine a society where we will not be able to say anything, buy anything, sell anything, assemble with others or even leave our homes without government permission. We truly are descending into a dystopian nightmare and the American people had better wake up. Sadly, most people living in the United States and in Europe do not realize what is happening. Most of them think that everything is just fine. The “Big Brother control grid” that is being constructed all over the western world squeezes all of us just a little bit tighter every single day, and most people don’t even feel it. But when you step back and take a look at the big picture, it truly is horrifying. The following are 14 new ways that the government is watching you…. #1 In many areas of the United States today, you will be arrested if you do not produce proper identification for the police. In the old days, “your papers please” was a phrase that we used to use to mock the tyranny of Nazi Germany. But now all of us are being required to be able to produce “our papers” for law enforcement authorities at any time. For example, a 21-year-old college student named Samantha Zucker was recently arrested and put in a New York City jail for 36 hours just because she could not produce any identification for police. #2 The federal government has decided that what you and I share with one another on Facebook and on Twitter could be a threat to national security. According to a recent Associated Press article, the Department of Homeland Security will soon be “gleaning information from sites such as Twitter and Facebook for law enforcement purposes”. Other law enforcement agencies are getting into the act as well. For example, the NYPD recently created a special “social media” unit dedicated to looking for criminals on social media networks such as Facebook and Twitter. #3 New high-tech street lights that are being funded by the federal government and that are being installed all over the nation can also be used as surveillance cameras, can be used by the DHS to make “security announcements” and can even be used to record personal conversations. The following is from a recent article by Paul Joseph Watson for Infowars.com…. #4 More than a million hotel television sets all over America are now broadcasting propaganda messages from the Department of Homeland Security promoting the “See Something, Say Something” campaign. In essence, the federal government wants all of us to become “informants” and to start spying on one another constantly. The following comes from an article posted by USA Today…. #5 The FBI is now admittedly recording Internet talk radio programs all over the United States. The following comes from a recent article by Mark Weaver of WMAL.com…. This is very creepy. Why is the FBI so interested in what is being said during Internet talk radio programs? #6 TSA VIPR teams are now conducting random inspections at bus stations and on interstate highways all over the United States. For example, the following comes from a local news report down in Tennessee…. You’re probably used to seeing TSA’s signature blue uniforms at the airport, but now agents are hitting the interstates to fight terrorism with Visible Intermodal Prevention and Response (VIPR). “Where is a terrorist more apt to be found? Not these days on an airplane more likely on the interstate,” said Tennessee Department of Safety & Homeland Security Commissioner Bill Gibbons. #7 Thermal imaging face scanners are becoming much more sophisticated. Law enforcement authorities in the western world are getting very excited about “pre-crime” tools such as this that will enable them to “prevent crimes” before they happen. The following is from a recent BBC News article…. But face scanners are not just a tool that will be used in the future. The truth is that face scanners are being used all over the United States right now. The following comes from an article posted on Singularity Hub…. Law enforcement continues to adopt new technologies in an effort to make their jobs easier and keep us safer. The latest gizmo attaches to officers’ iPhones and turns them into biometric face scanners. The scanners have already been street tested in Massachusetts. Pretty soon cops all across the US will be using them to ID suspects. Before long, technology like this will be all over America. In fact, the FBI has announced that it will be activating a “nationwide facial recognition service” in January. #8 Another “pre-crime” technology currently being tested by the U.S. Department of Homeland Security is The Future Attribute Screening Technology (FAST) program. The following description of this new program comes from an article in the London Telegraph…. Using cameras and sensors the “pre-crime” system measures and tracks changes in a person’s body movements, the pitch of their voice and the rhythm of their speech. It also monitors breathing patterns, eye movements, blink rate and alterations in body heat, which are used to assess an individual’s likelihood to commit a crime. Do you want government officials to pull you aside and interrogate you just because you are feeling a little bit nervous one particular day? #9 Sadly, “pre-crime” technology is even being used on our children. The Florida State Department of Juvenile Justice has announced that it will begin using analysis software to predict crime by young delinquents and will place “potential offenders” in specific prevention and education programs. How soon will it be before this type of things is applied to adults? #10 Our children are being programmed to accept the fact that they will be watched and monitored constantly. For example, the U.S. Department of Agriculture is spending large amounts of money to install surveillance camerasin the cafeterias of public schools all across the nation so that government control freaks can closely monitor what our children are eating. #11 The U.S. government is also increasingly using “polls” and “surveys” as tools to gather information about all of us. In previous articles, I have noted how government authorities seems particularly interested in our children. 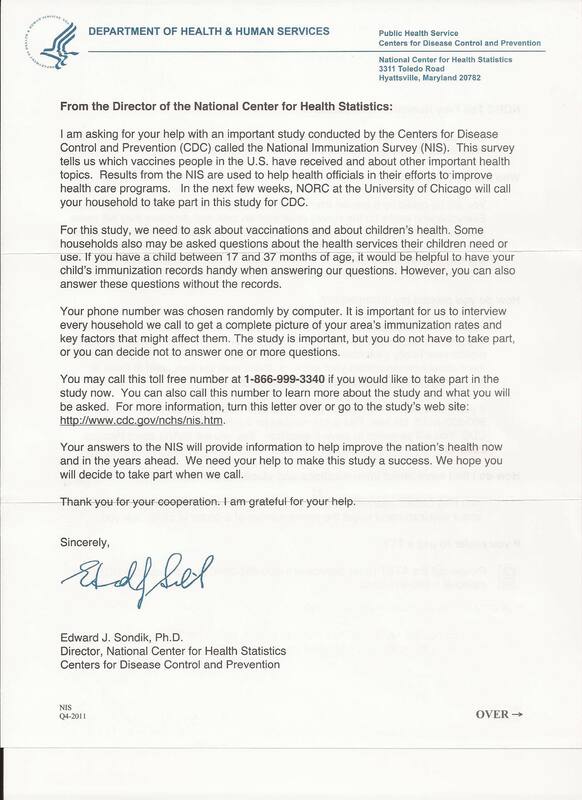 According toMike Adams of Natural News, the CDC is starting to call parents all over the U.S. to question them about the vaccination status of their children…. #12 As I have written about previously, a very disturbing document that Oath Keepers has obtained shows that the FBI is now instructing store owners to report many new forms of “suspicious activity” to them. According to the document, “suspicious activity” now includes the following…. Do any of those “signs of suspicious activity” apply to you? #13 In some areas of the country, law enforcement authorities are pulling data out of cell phones for no reason whatsoever. According to the ACLU, state police in Michigan are now using “extraction devices” to download data from the cell phones of motorists that they pull over. This is taking happening even if the motorists that are pulled over are not accused of doing anything wrong. The following is how a recent article on CNET News described the capabilities of these “extraction devices”…. #14 The government can spy on us and record our conversations seemingly without any limitation, but in many areas of the country it has become illegal to watch them or record them in public. For example, one 21-year-old man down in Florida was recently arrested for trying to document a confrontation that he was having with police on his iPhone. But if we can’t record them, how can we prove our side of the story in court? America is becoming a much different place. Our privacy is being eroded in thousands of different ways. National governments and big corporations know far more about you than you probably ever would imagine. Yes, there will always be “security threats”, but we should not have to throw away any of our rights in order to be “safe”. America is supposed to be the land of the free and the home of the brave. If given the choice between living in “1984″ and living in “1776″, I know what my choice would be. I would choose liberty and freedom even if it meant that the world around me was a little bit less “safe”.